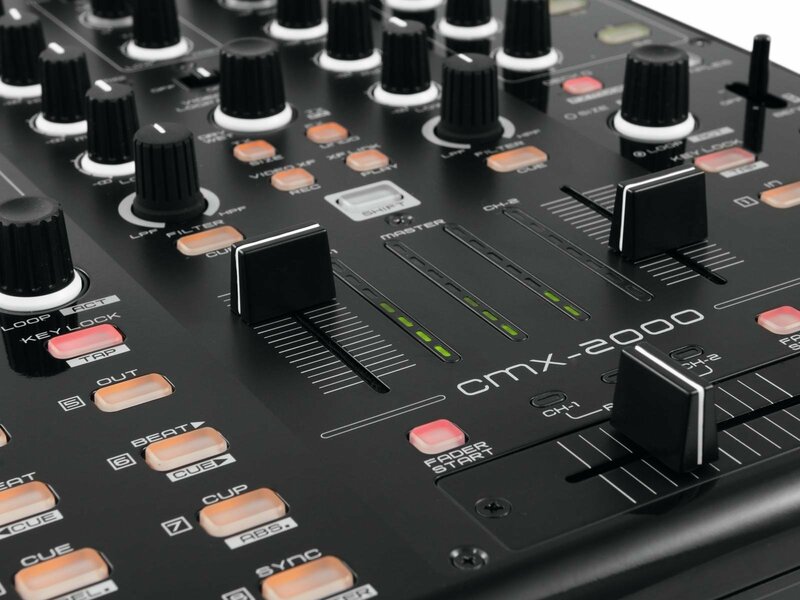 The CMX-2000 is a 2-channel stand-alone mixer with a vast array of MIDI sections for control of DJ software on PC and Mac computers. 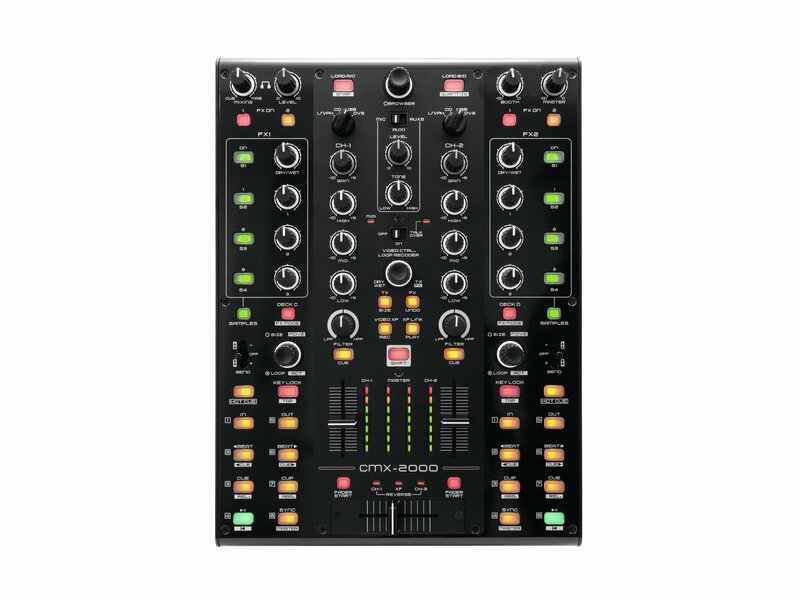 The layout was designed specifically for intuitive control of up to 4 decks in Virtual DJ, Traktor and Serato Scratch Live, with full support for scratch and sample decks. 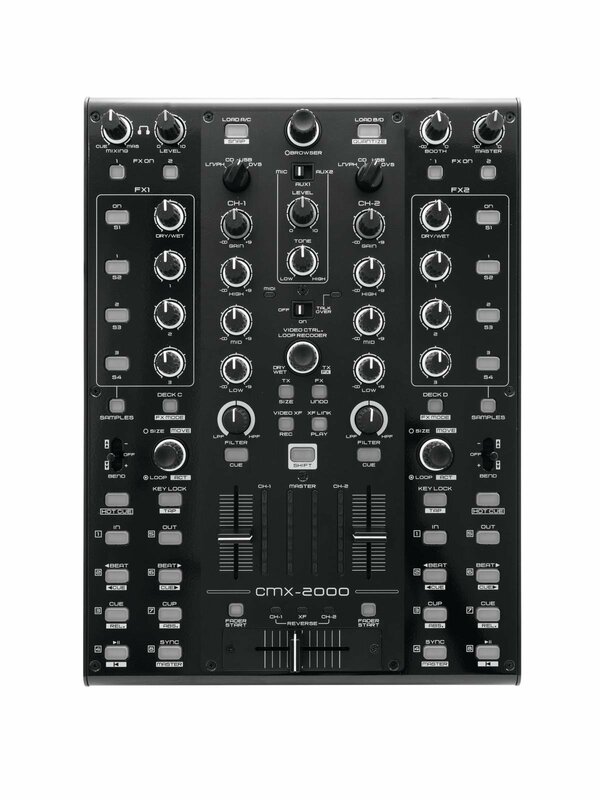 Finally, there is no need for a separate controller anymore. 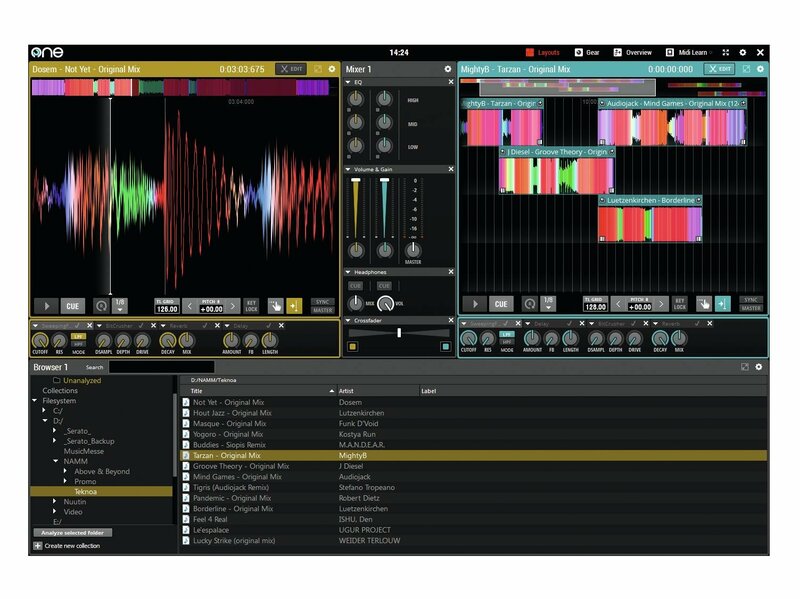 All necessary control elements for file browsing, transport, hot cues, samples, sample recording, loops, FX, pitch and video transition are available. 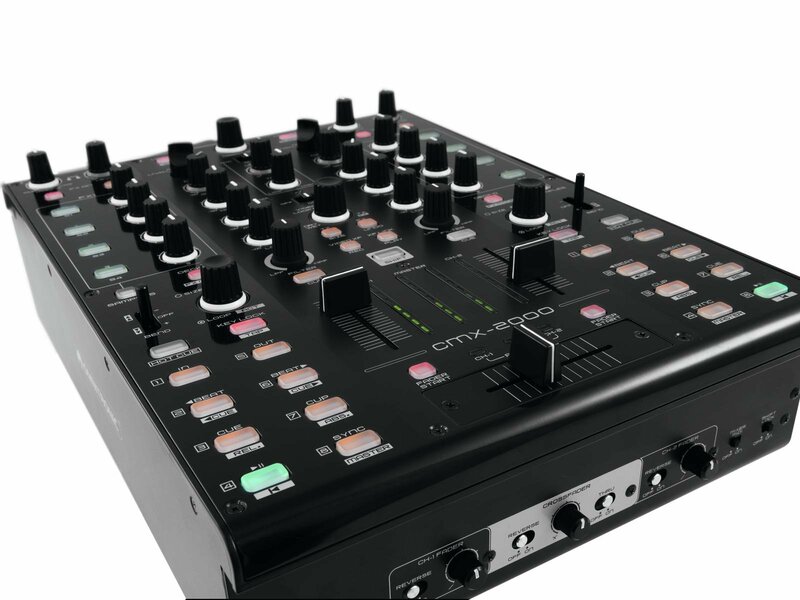 Both input channels feature 3-band EQs and filter modulation and one-step switching between analog sources and MIDI decks. 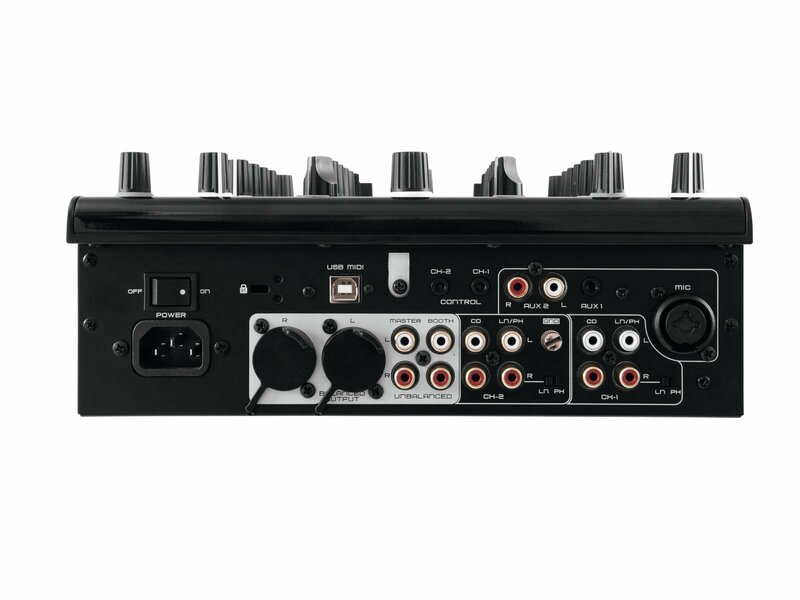 The built-in USB sound card (4 IN/4 OUT) enables high-quality stereo output to your master PA (including balanced XLR terminals) and DJ booth system as well as several stereo inputs for CD players, turntables and other external hardware. 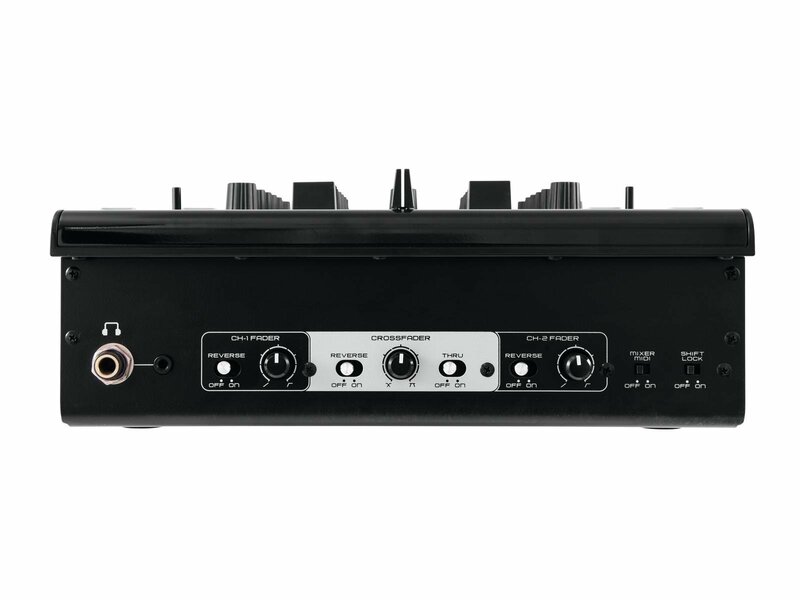 A microphone channel with 1-band EQ and talkover is provided for MCs and hosts. 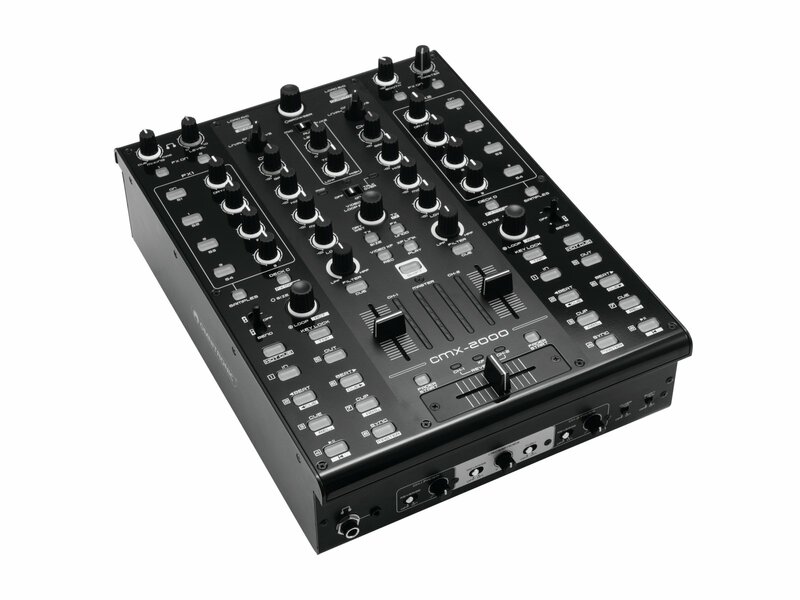 Furthermore, there are two AUX inputs for all kinds of portable devices including MP3 players, smartphones and tablets. 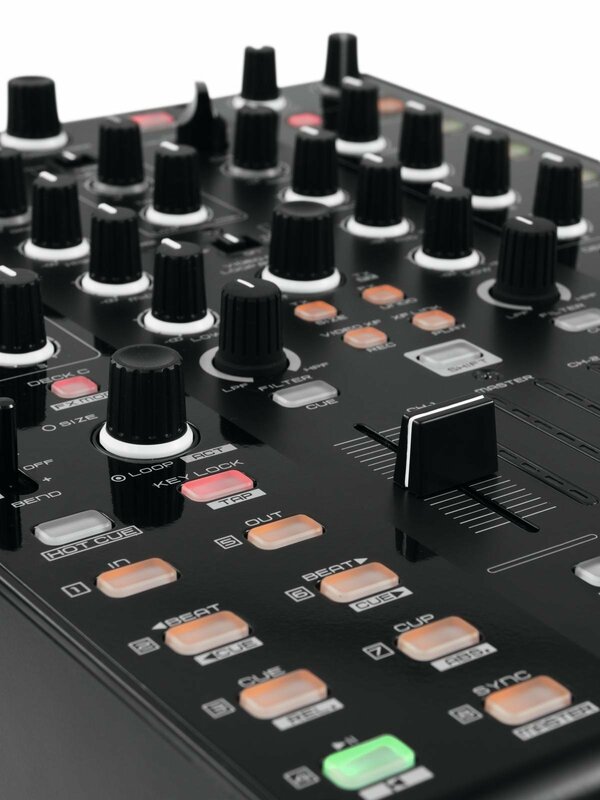 Scratch DJs will be excited to see essential crossfader and channel fader curve adjustments and reverse functions. 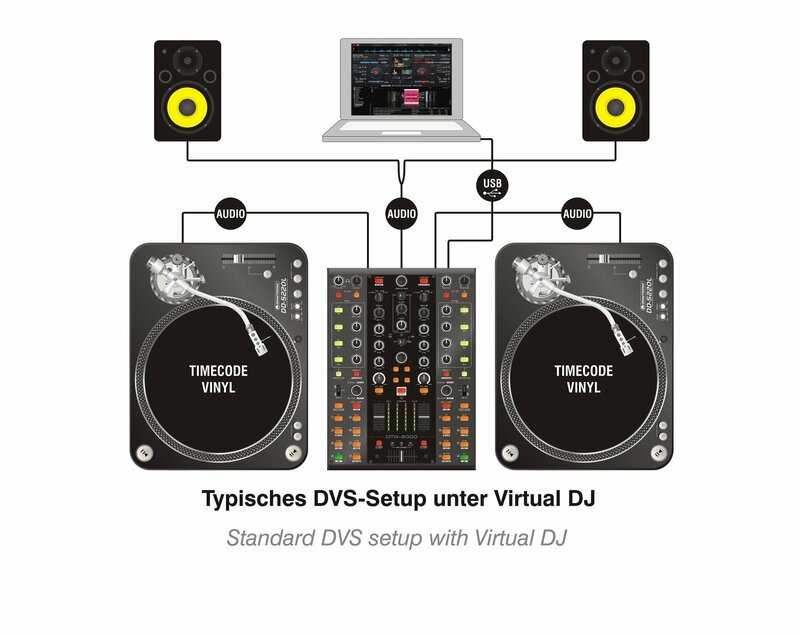 The built-in DVS audio system will allow you to directly use timecode systems with vinyl and CD decks for Virtual DJ and other open applications via a single USB cable. 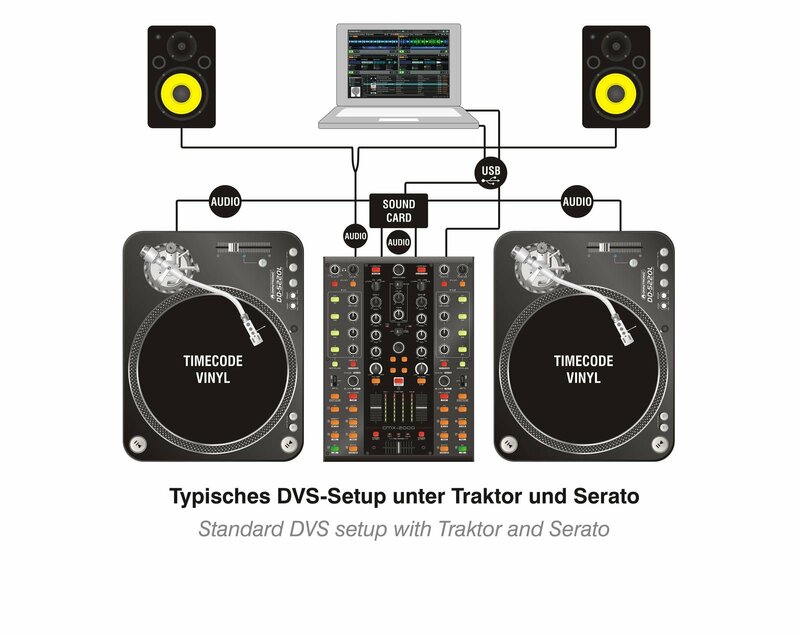 Traktor and Serato users can connect their proprietary sound cards.